San Marcos is a great tourist getaway from the big city hustle and bustle, yet near to lots of fun things to do in the central Texas Hill Country. The city is home to the state's third largest university, Southwest Texas State University. 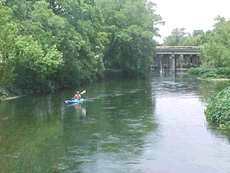 The San Marcos River, with its crystal clear spring fed waters, offers canoeing, fishing, scuba diving, snorkeling, swimming, and tubing. Tourists love the world-class shopping at the largest outlet malls in the Southwest nearby. It is no wonder so many tourists come to this gateway to the Hill Country, and return often. San Marcos is a vibrant growing city with a population of over 40,000. The city is an easy drive from any of the major cities in Texas. San Marcos is almost the half way point between two of the major cities on the IH-35 corrider; Austin is 29 miles to the north and San Antonio is 50 miles to the south. Dallas and Houston are about a four to five hour drive away. 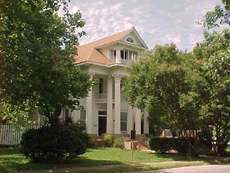 San Marcos has a great historic district. Take a walking tour or try the trolley tour. You will like the local golf courses. 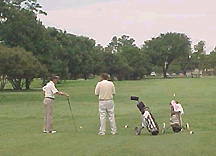 There are several golf courses within a few miles drive. San Marcos has many restaurants in the city area. Choose from restaurants along the river banks to places in the middle of town. You will find all types of restaurants in San Marcos: Mexican, Italian, Chinese, Steaks, BBQs, Pizza, fast food and more. Joe's Crab Shack is conveniently located near the campus. 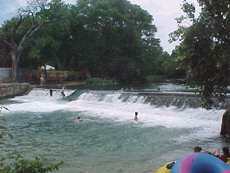 San Marcos River Pub & Grill is located along the river bank by the San Marcos River dam and the challenging "Chute." Lovingly restored, this historic inn will enchant you with its ambiance of warmth, comfort, and style in rooms furnished with primitives befitting the era. For Hotels in the Area, Click Here. 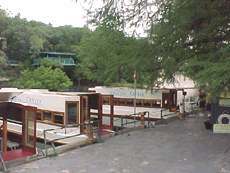 Ride the glass bottom boats and see the plant life and wildlife species that live in the crystal clear San Marcos River. Explore an earthquake-formed cave and ride to the top of the Tejas Observation Tower. It is the most visited cave in Texas. The World War II artifacts museum is located in a huge wooden World War II hangar and contains weapons, captured documents, uniforms, photos, radios, cameras and aircraft equipments on loan or donated to the Commemorative Air Force. A museum that reflects on the life and times of President Lyndon B. Johnson. The Gallery brings together a comprehensive range of work from the region that represents the history of photography from the 19th century to the present day, with an emphasis on contemporary imagery. Information on bird watching in the San Marcos area. America's most favorite Waterpark resort in nearby New Braunfels. Tourists' favorite historic town. Go there once, and you will want to go back. Enjoy the water sports available at this 80 mile lake shoreline. 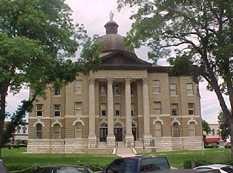 This web site provides tourist information for the state of Texas with links to over 100 cities and towns throughout Texas. Texas' largest caverns. 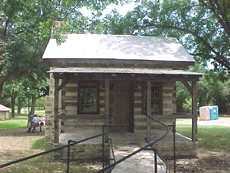 Located west of New Braunfels, Texas. Take a safari drive thru Texas style. Located west of New Braunfels, Texas. 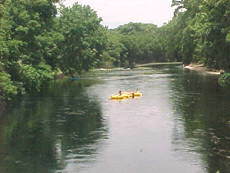 The crystal clear water of the San Marcos River offers perfect tubing, swimming, and sunbathing. Take a walking or trolley tour of historic San Marcos. Enjoy nature watching and photography at its finest. Take the glass-bottom boats tour at Aquarena Center. Shopping at the world-class factory outlet stores and local tourist stores. 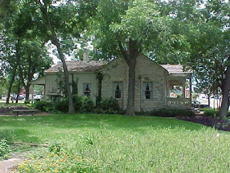 Antique shopping in the area - some of the best in Texas. Visiting Art Centers and Museums. A "must" on any tourists list is the 246 acres of parks with the San Marcos River running through 150 acres of this parkland. 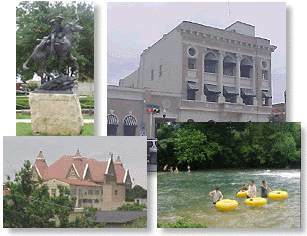 New Braunfels and Historic Gruene are only 30 minutes away. Canyon Lake with its 80 miles of scenic shoreline is only 45 minutes away. web site, please email us at info@sanmarcos-tx.net.